Al/graphite composites with small amounts of Al–Si alloy were consolidated by spark plasma sintering and hot-extrusion processes. 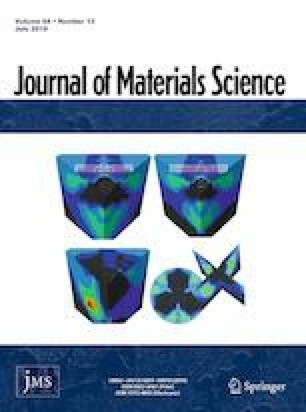 The effect of Al–Si alloy addition on densification behavior, microstructure, thermal conductivity (TC), coefficient of thermal expansion (CTE), and compressive strength has been systematically investigated. The results showed that the addition of Al–Si alloy resulted in improvements in relative density of the composites, interfacial bonding between Al and graphite, and orientation degree of graphite. The composites with Al–Si alloy showed improved TC and reduced CTE values in comparison with those without Al–Si alloy. For example, the 450 °C-extruded Al/60 vol% graphite/9 vol% Al–Si composite showed a maximum TC of 297 W m−1 K−1 and a minimum CTE of 7.95 ppm K−1. Moreover, the hot-extruded Al/graphite composites containing Al–Si alloy exhibited higher compressive strength compared to conventional squeeze-cast composites and hot-extruded composites without Al–Si alloy. This work was supported in part by the Light Metal Educational Foundation. The authors would like to thank T. Yoshioka and T. Harada of Shimane Institute for Industrial Technology, Prof. S. Morito of Shimane University, and T. Murata of Tottori Institute of Industrial Technology for their experimental supports and fruitful discussion.